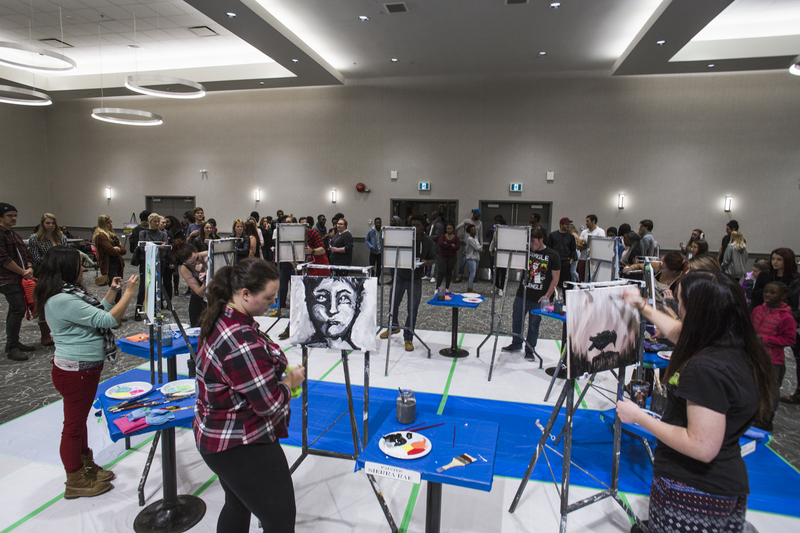 Last week, the TRUSU Art and Culture Club opened their doors to welcome students and community members to a fast-paced demonstration of creativity and artistry. Art Faceoff was a battle of paintbrushes and quick thinking. 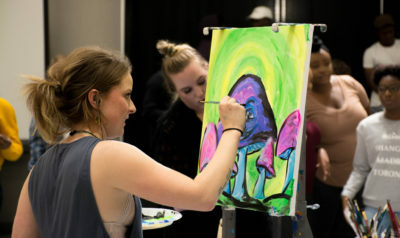 Friday evening’s events featured 18 artists battling it out in 25-minute speedpainting rounds. Each artist was given a blank canvas, easel and variety of paints to create a masterpiece from the ground up. 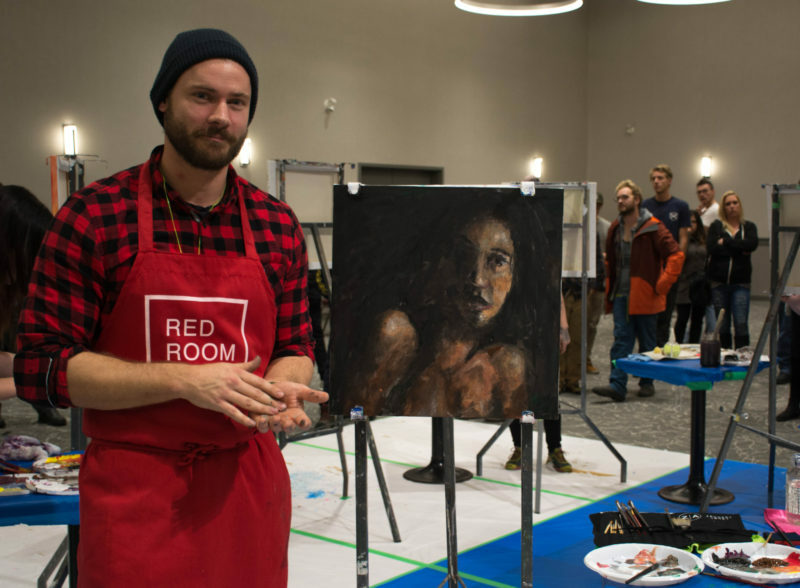 Artists battled for first prize and the honour of being crowned Art Faceoff champion. Winners received $200 for first place, $100 for second and $50 for third. Artists advanced based on audience votes. The first and second rounds consisted of nine artists who battled to place in the top three of their individual rounds to continue into to the final round. The top six competed for the first place prize. All 18 artists showed extreme talent as they blocked out the crowd and honed their work, creating interesting and beautiful pieces. Artists were positioned in a circle in the centre of the Grand Hall in the Campus Activity Centre. The crowd was encouraged to swirl around the circle and take in the creative process in real time. Each lap showed greater progress and surprises in the development of the paintings. The evening was home to all styles from sunset-soaked landscapes to crazy portraits and beautiful figure rendering. The final round wrapped up with Zack Abney, Jess Motionless, Rayneil McKinney, Laura Langley, Cassidy Paul and Kelly Wright. After the final 25 minute round of the night, Langley was awarded third place, McKinney earned second place with his huge group of supporters, and Abney’s haunting portrait walked away with first place and the title of Art Faceoff champion.